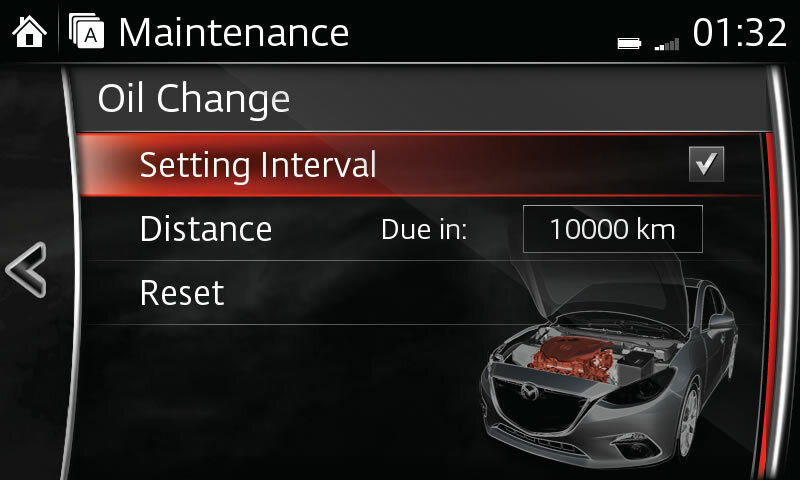 Keep your Mazda in tip-top shape. Everything you need to manage maintenance, updates, fuel economy and more is conveniently accessible in your vehicle's infotainment system. Set reminders to make sure you always change your oil on time. Please contact your Mazda dealer for more information. 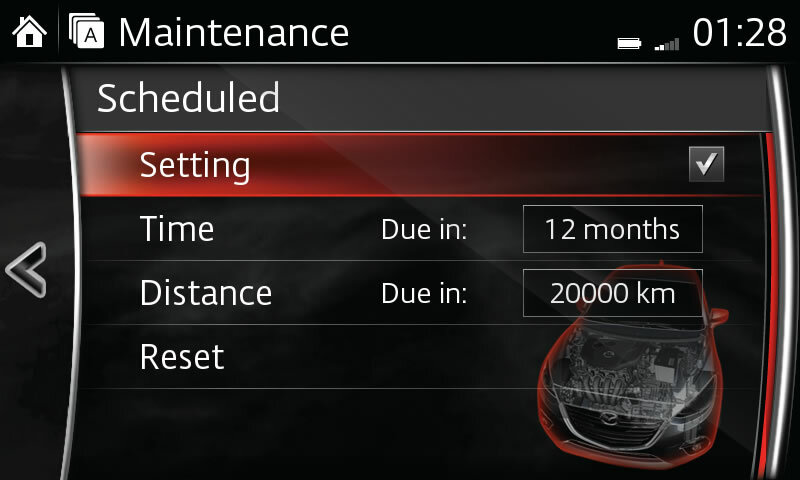 Timely maintenance will help keep your vehicle running smoothly. Please contact your Mazda dealer for more information. 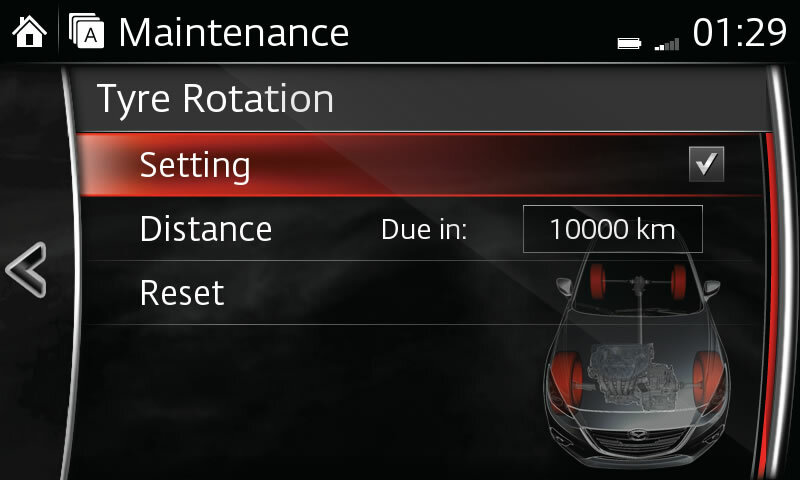 Increase the life of your tyres by rotating them regularly. Please contact your Mazda dealer for more information.